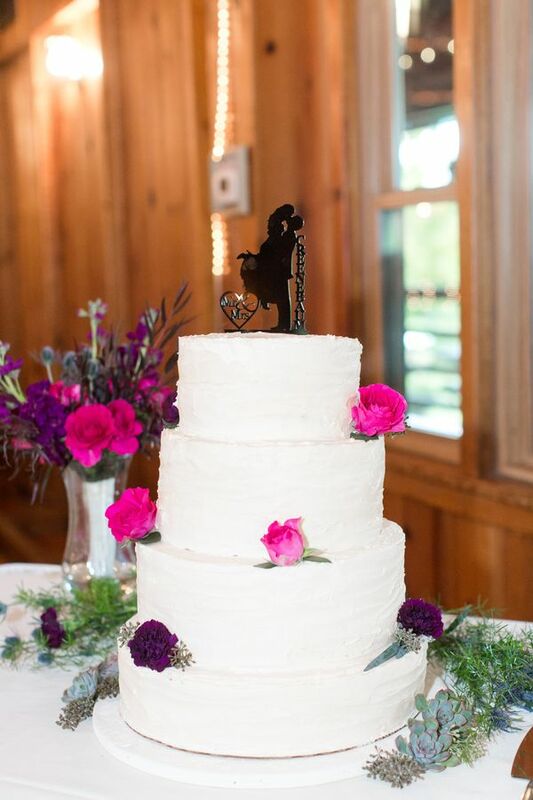 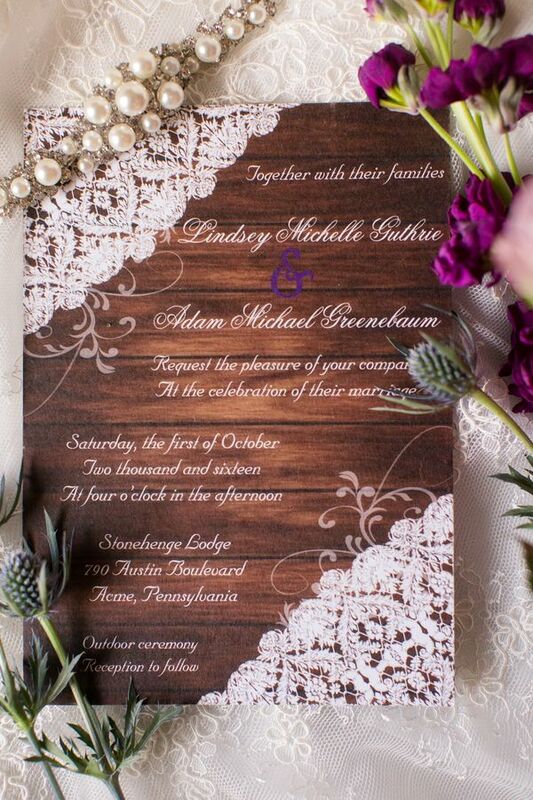 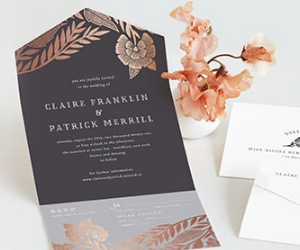 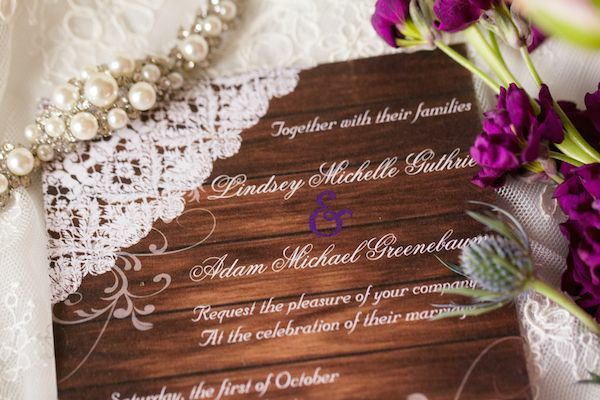 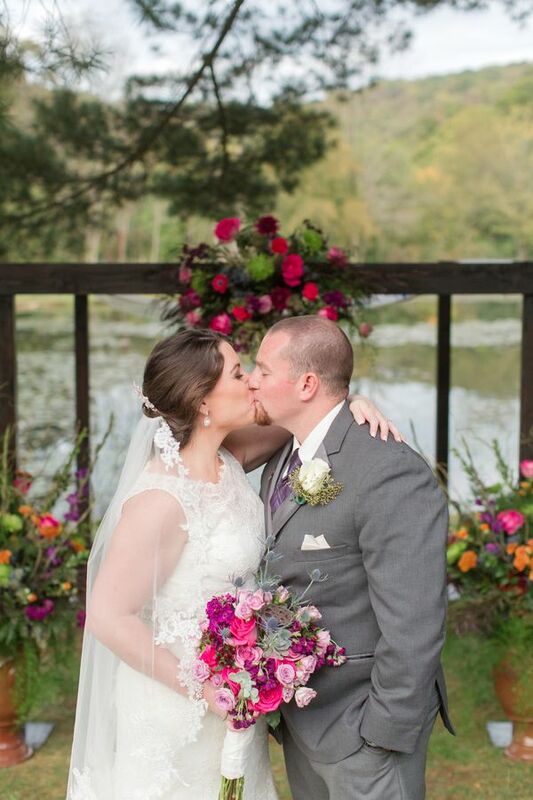 Let's head on over to Pennsylvania and peer into Lindsey and Adam's fuchsia and purple-colored fête, one too pretty to not share! 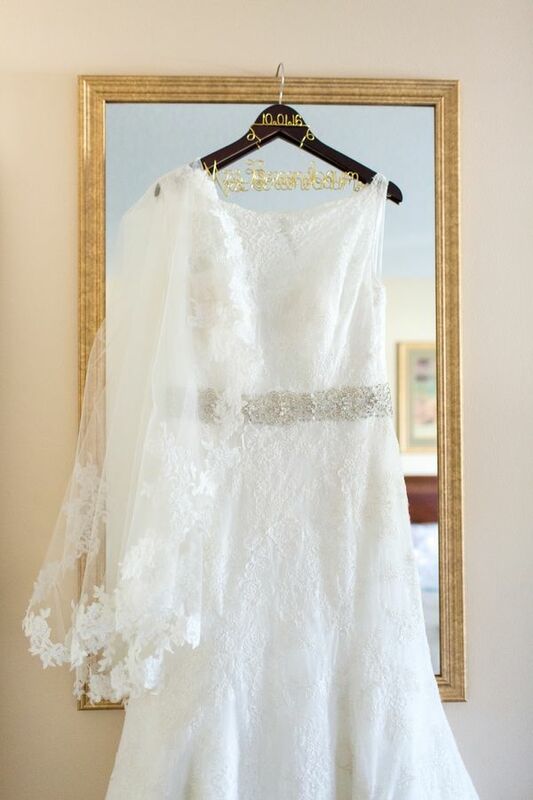 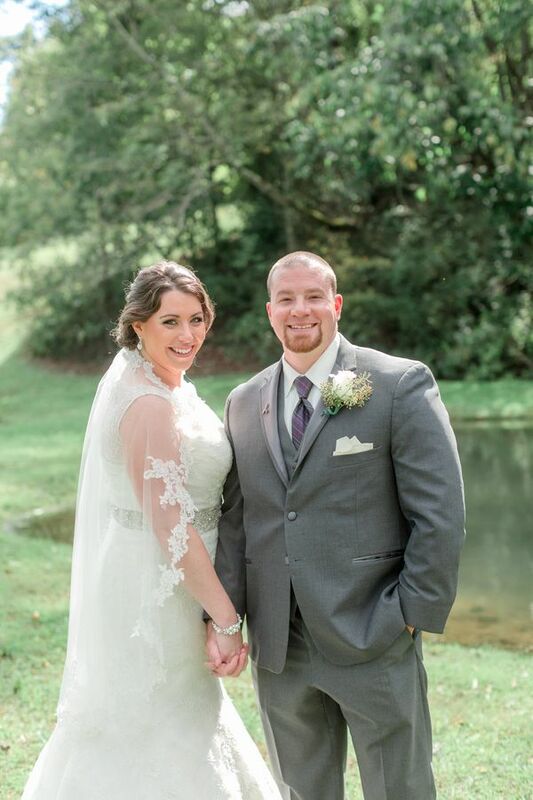 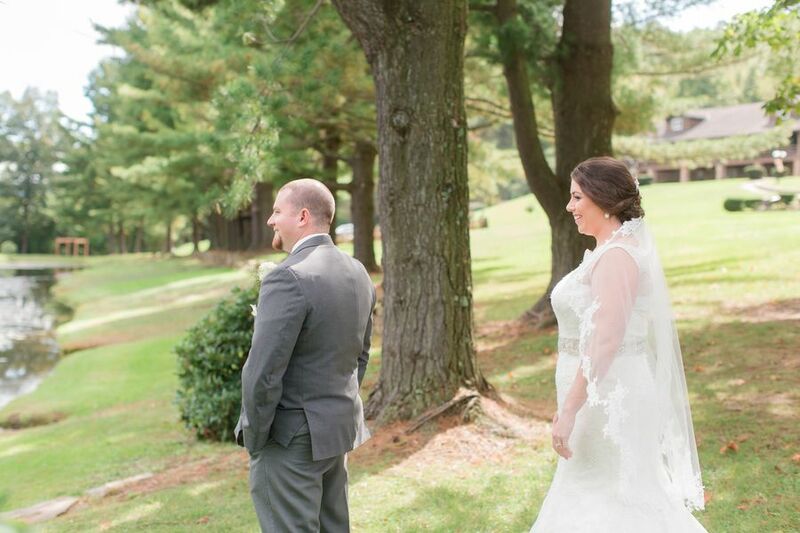 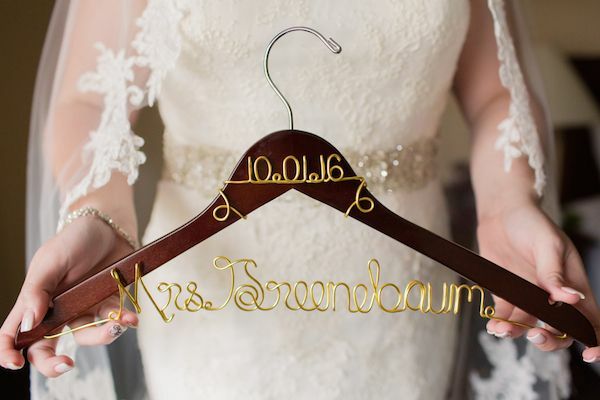 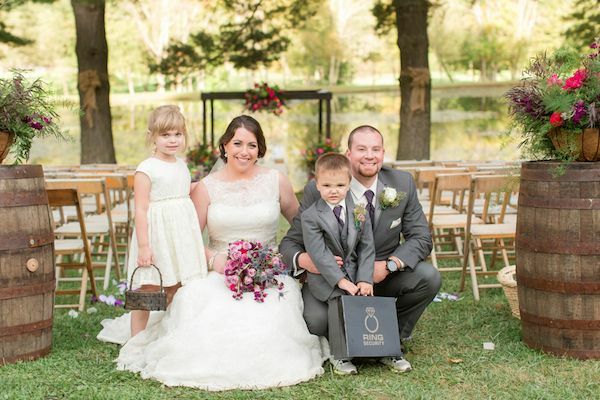 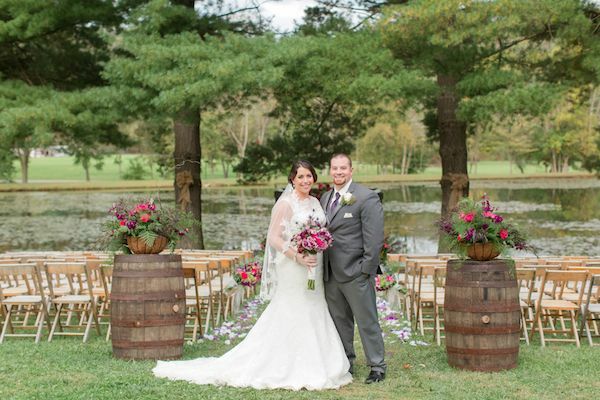 The adorable couple chose to host a rustic-themed wedding day at the turn of Fall and along with the very beginning of the changing leaves, Jackson Signature Photography captured all of the sweet moments and details of their big day. 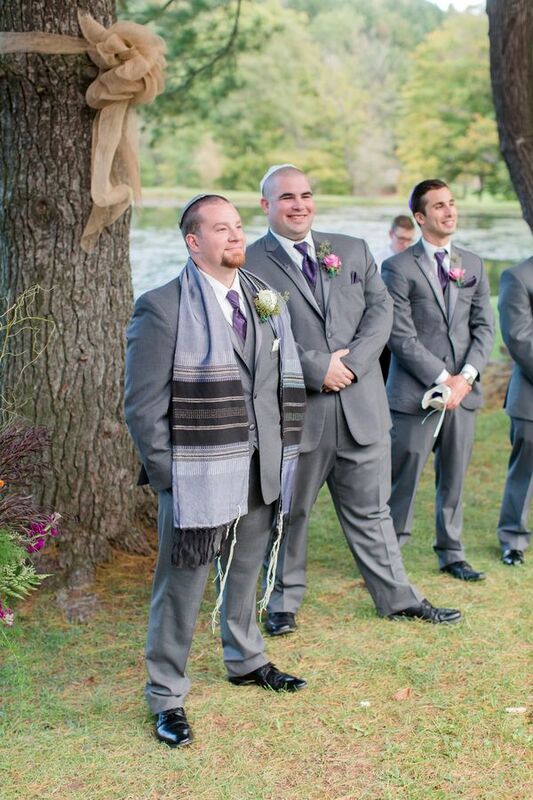 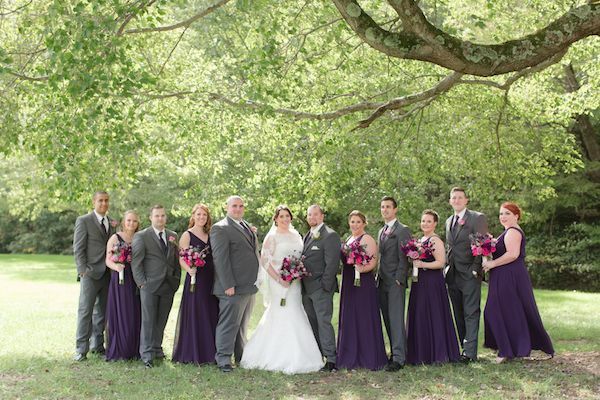 There is no lack of color in the Greenebaum's wedding. 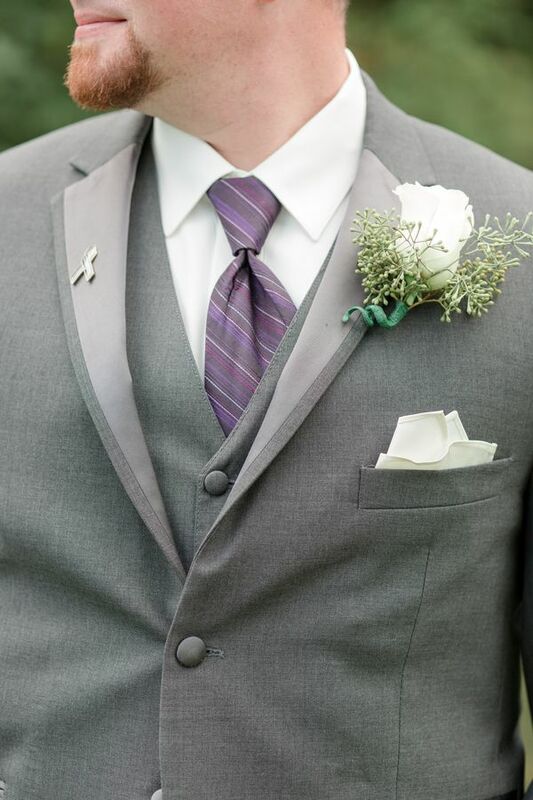 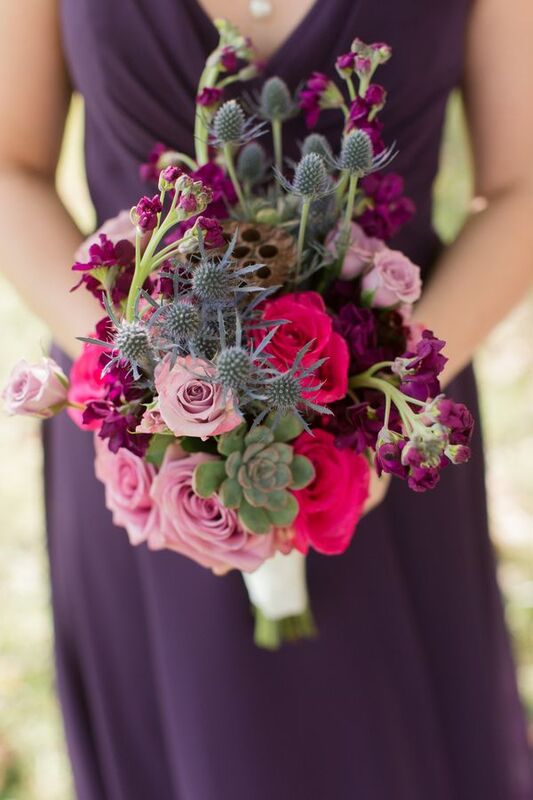 Next to the fuchsia, they paired it with hints of cobalt blue to honor Adam's career as a policeman. 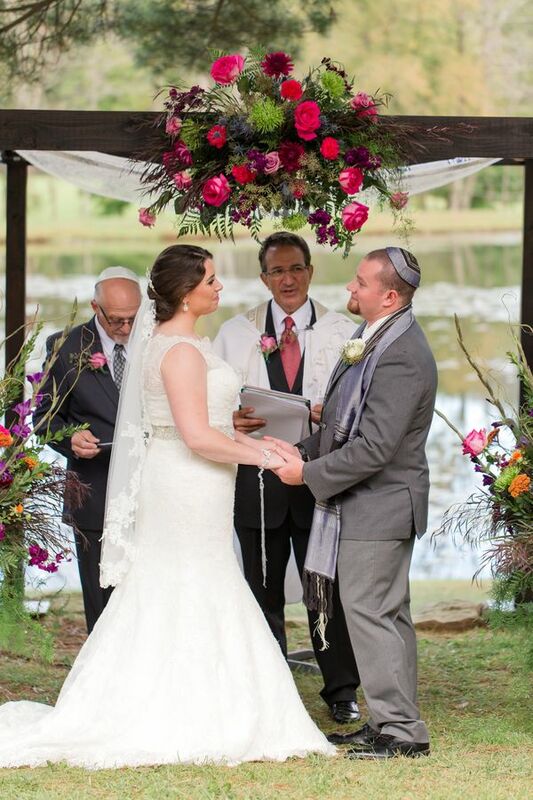 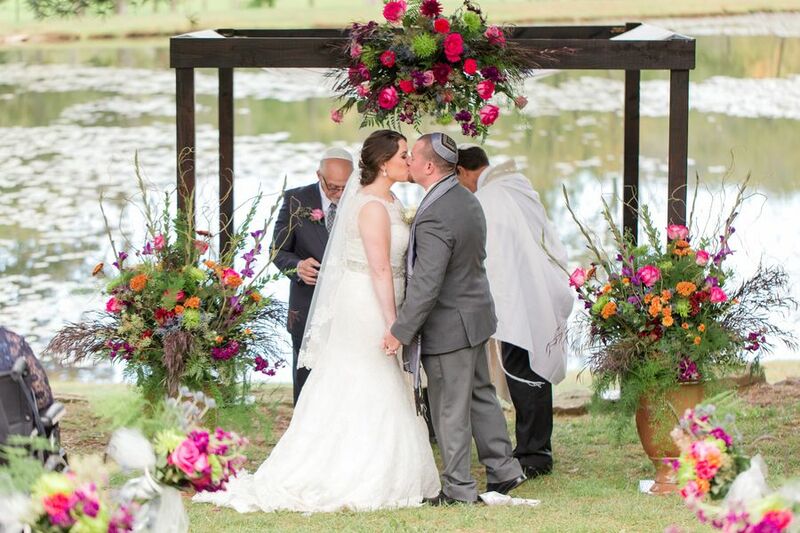 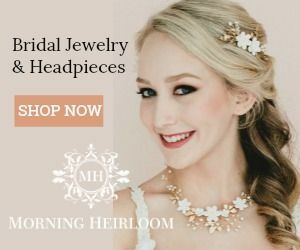 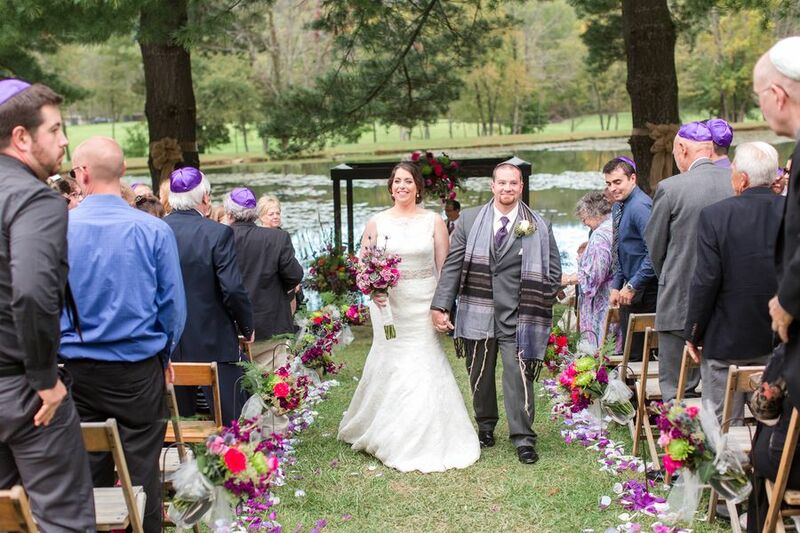 The breathtaking outdoor ceremony site was adorned with a dark cherry chuppah and country-style fleurs that just popped out at you. 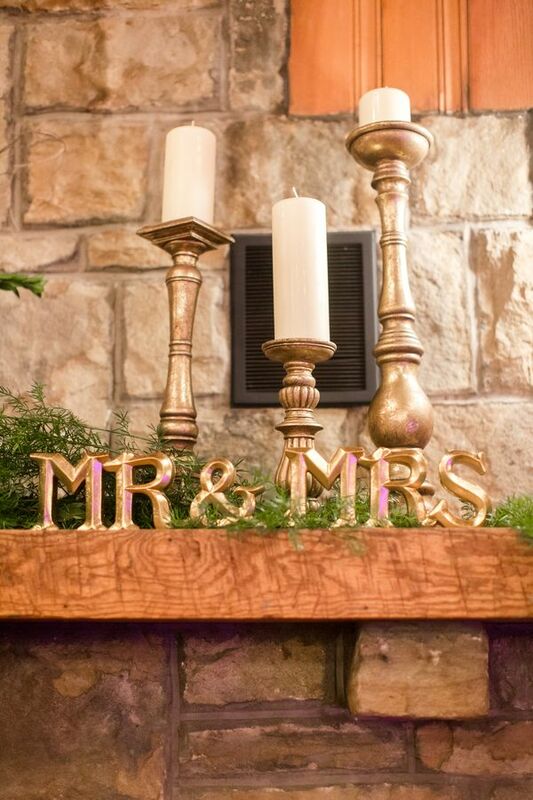 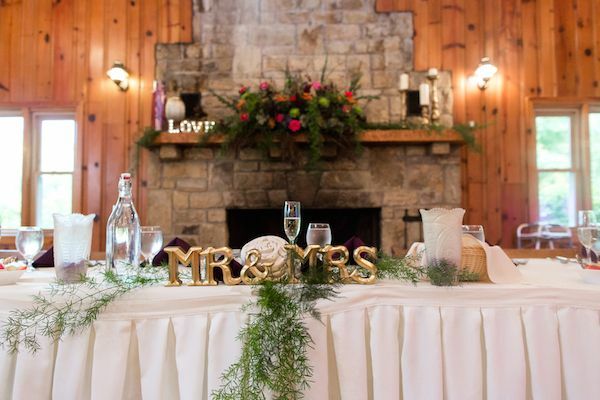 It was only fitting to end their day at Stonehenge Lodge with wooden walls and a large hearth. 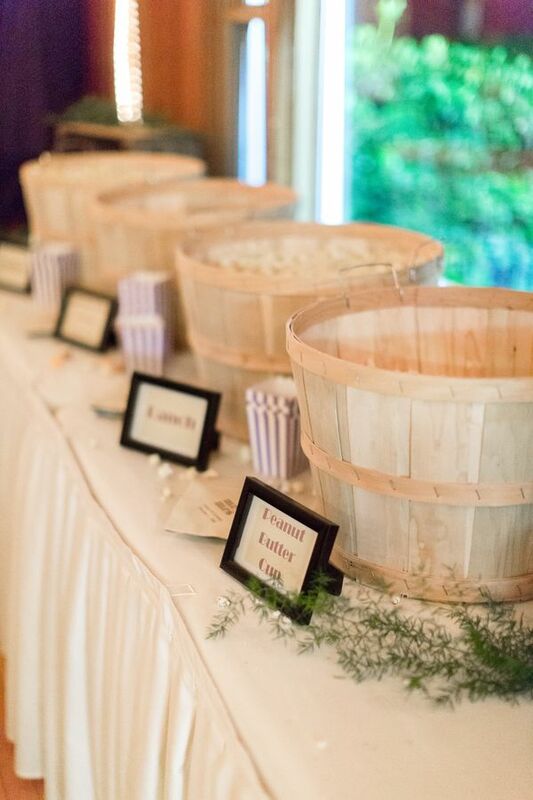 We just love how simple and cozy Lindsey and Adam's wedding was, not to mention, we're head over heels for that popcorn bar! 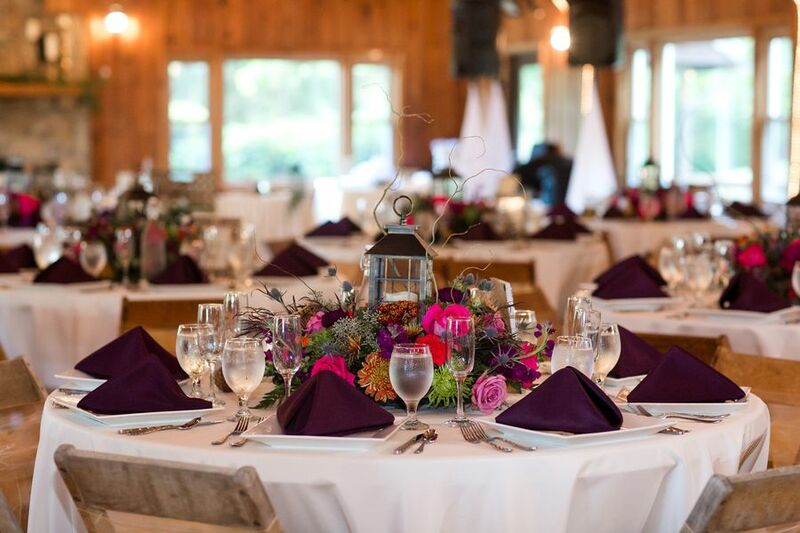 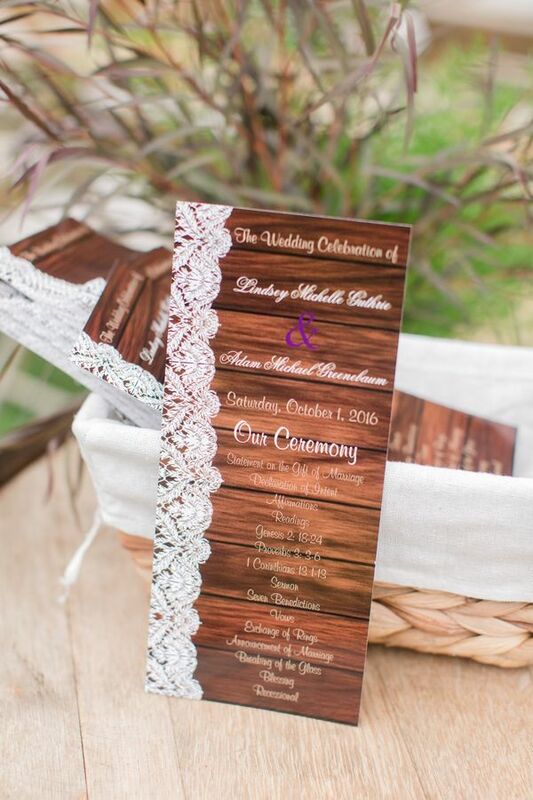 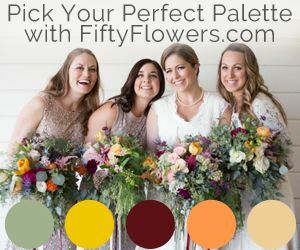 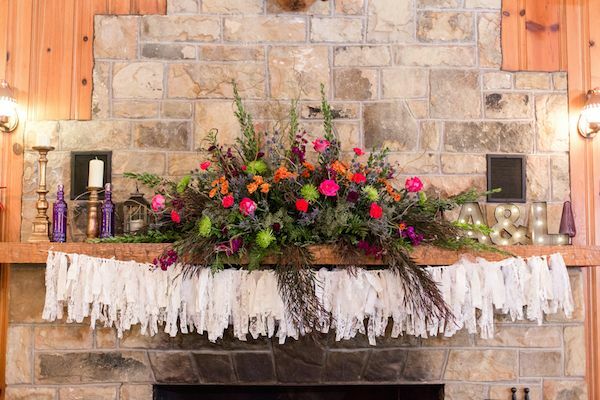 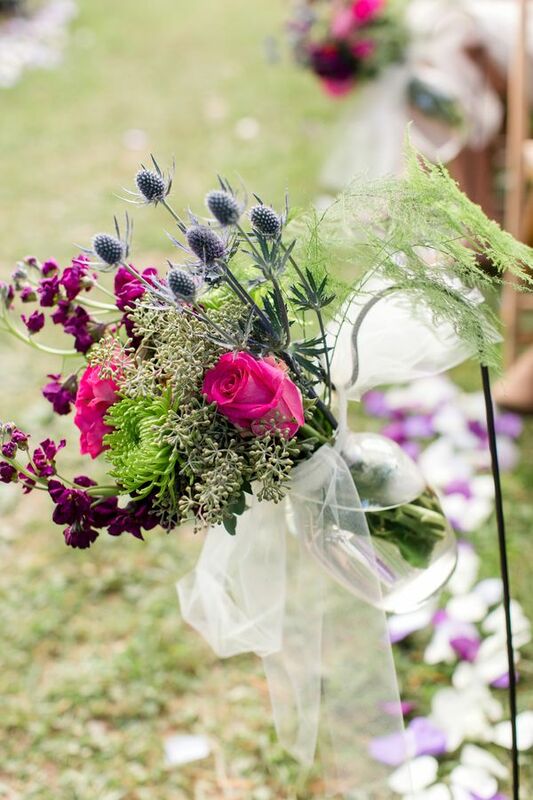 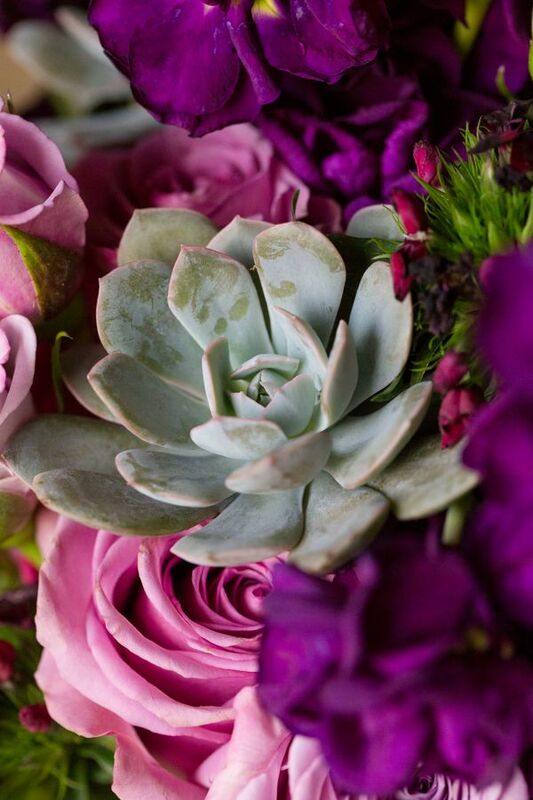 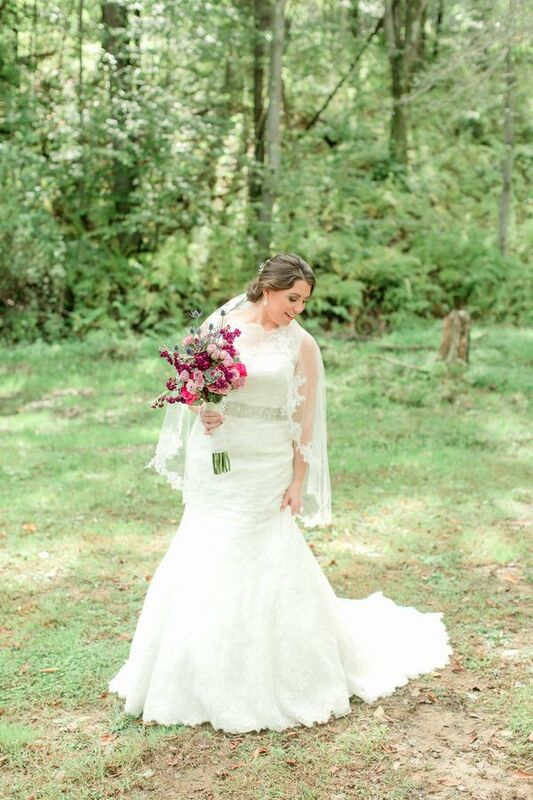 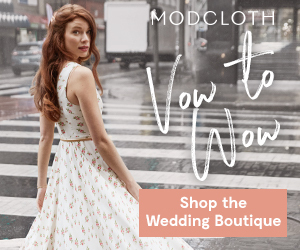 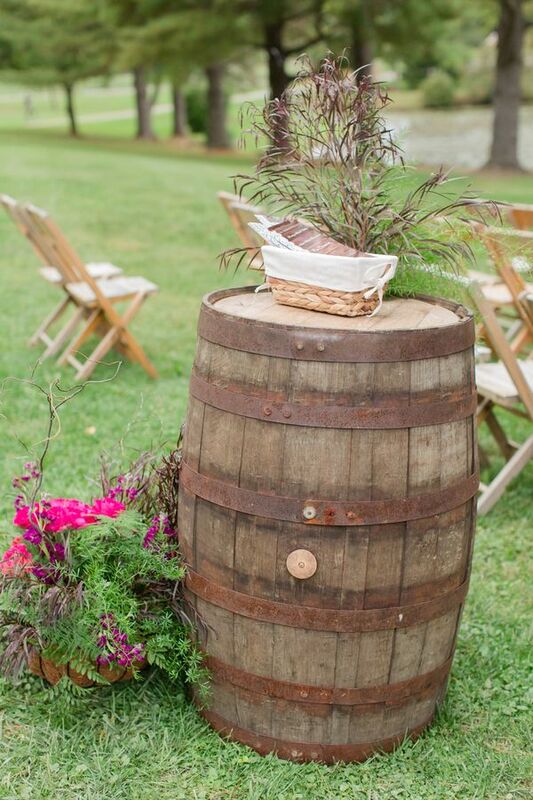 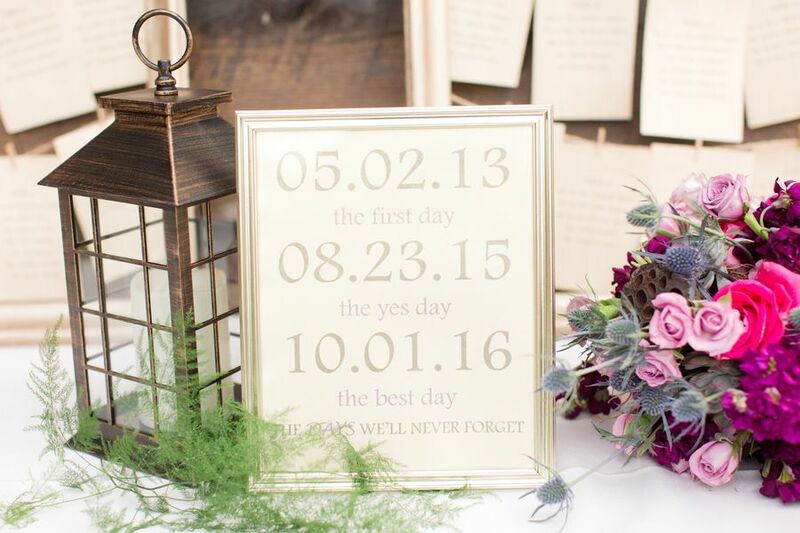 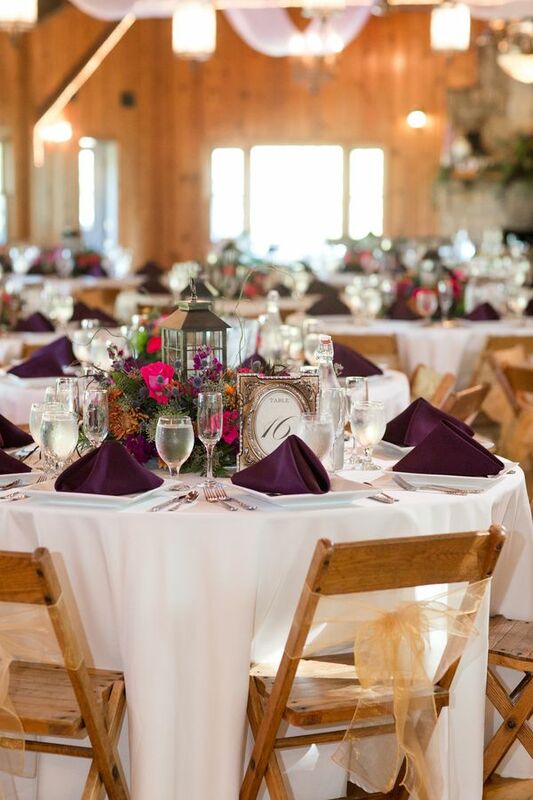 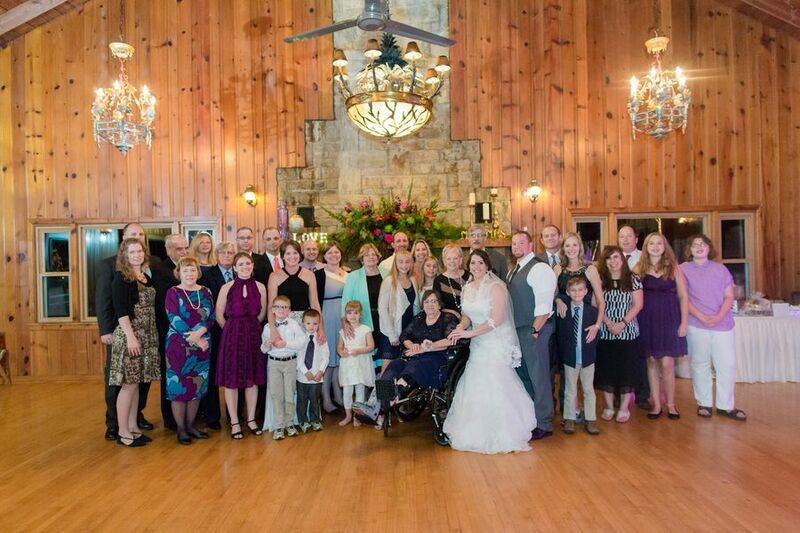 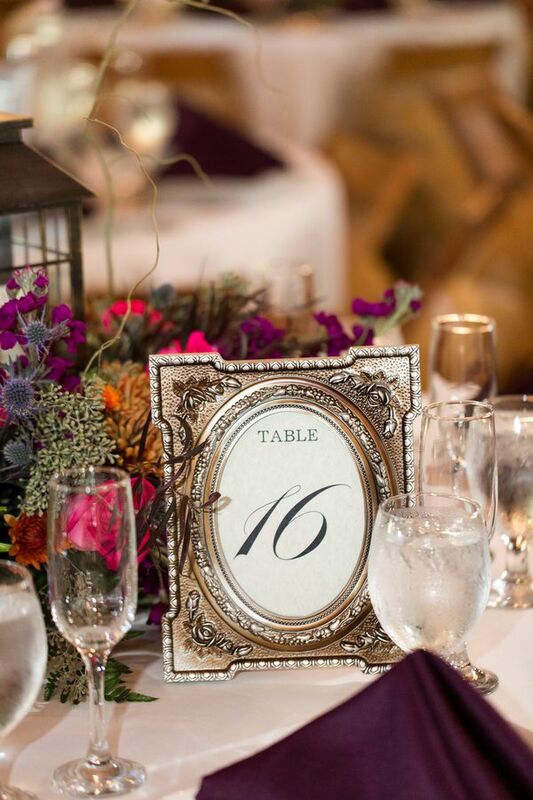 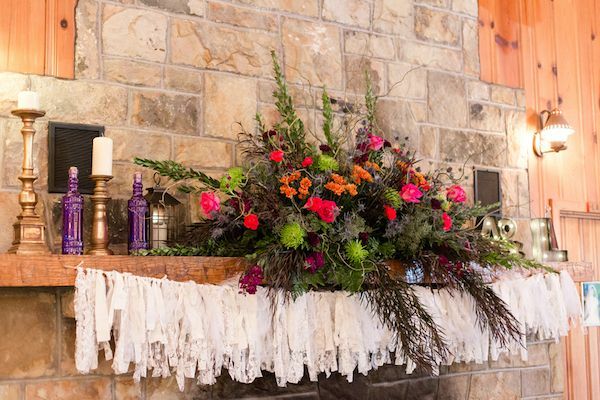 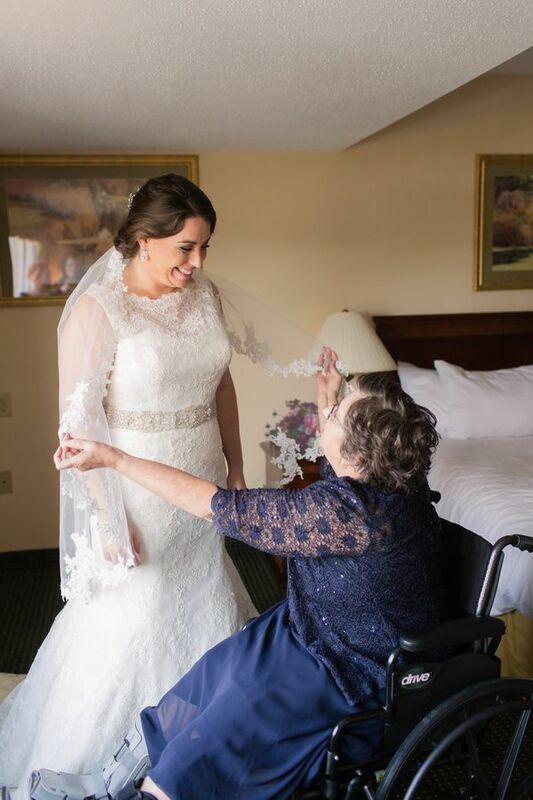 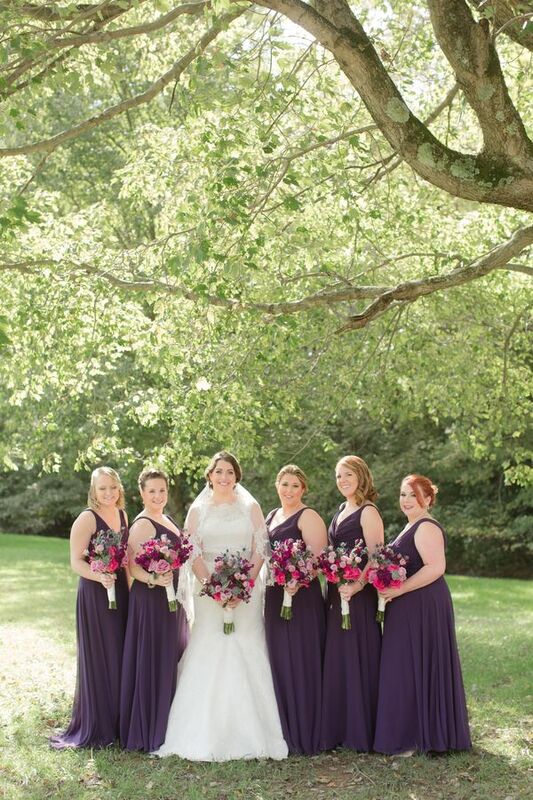 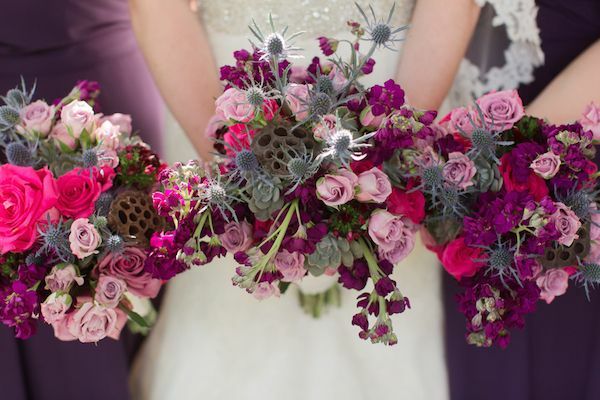 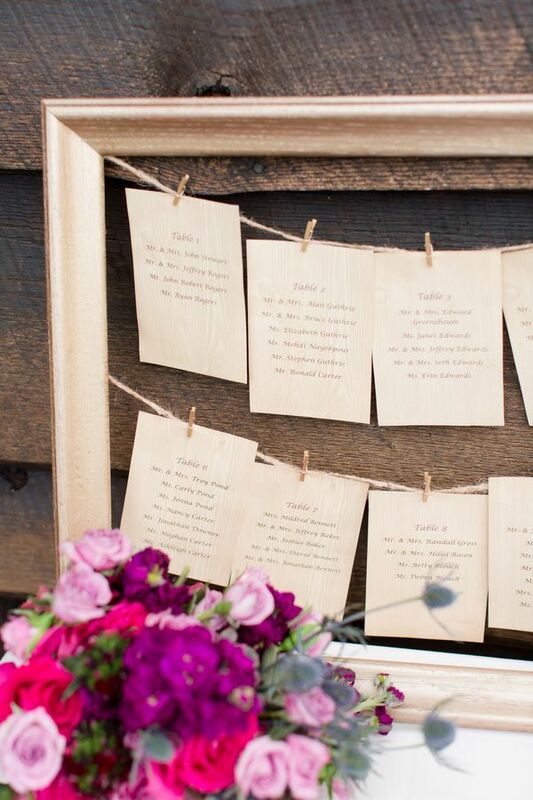 From the bride, "We brightened up our rustic themed wedding with vibrant fushcia and purple floral details. 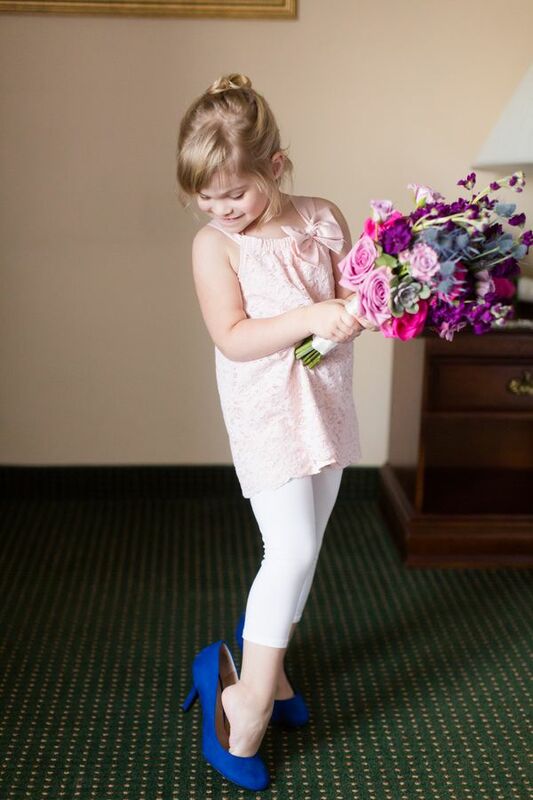 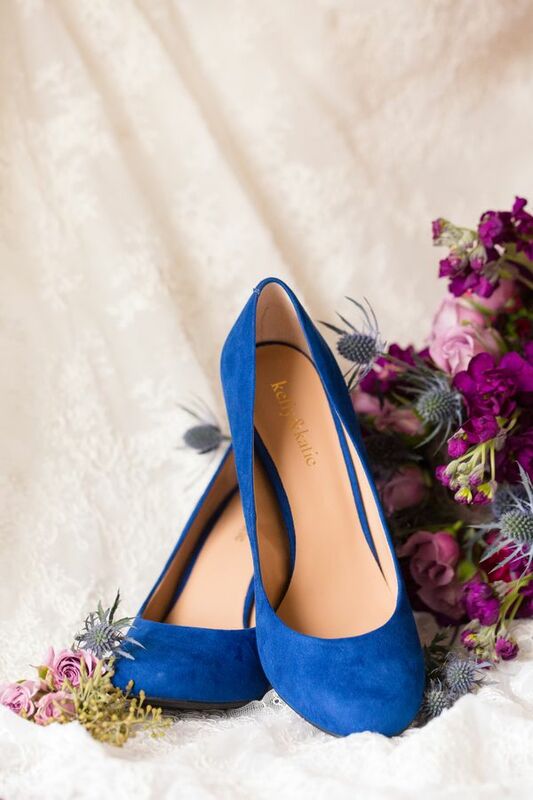 Our 'something blue' featured cobalt blue details to support Blue Lives Matter since Adam is a policeman." 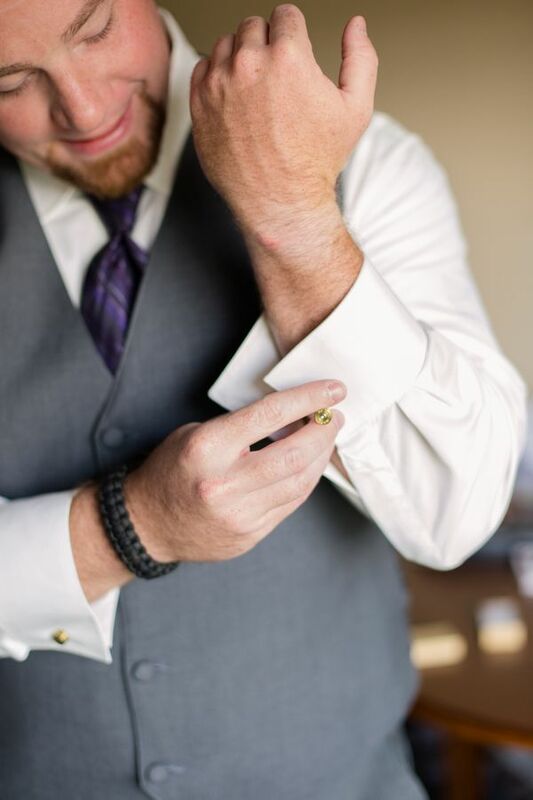 "The worn wooden details framed in dainty lace softened the rugged bullet cufflinks, whiskey and cigar bar, and 'met my match' matchsticks." 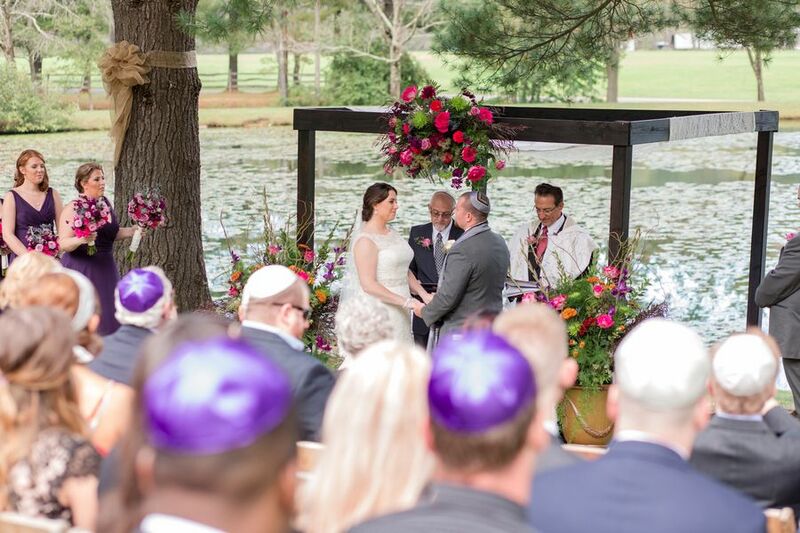 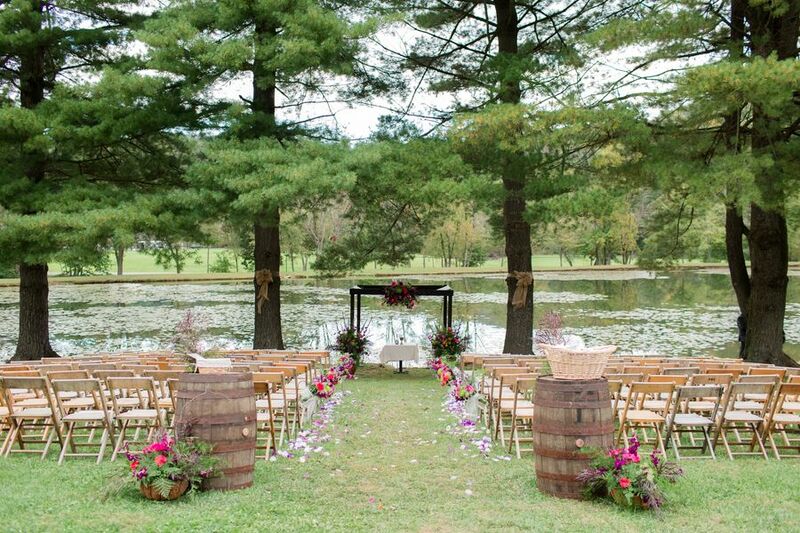 "The lakeside ceremony was framed by dark cherry arches decked in vibrant floral arrangements of fuchsia orange and purple." 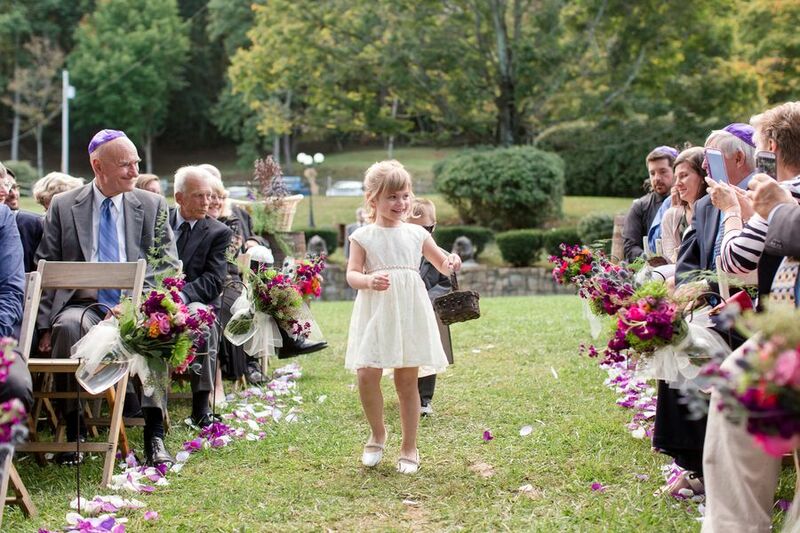 "Transparent bronze bows wrapped the trees along the lake and simple wooden folding chairs for guests lined the grassy aisle." 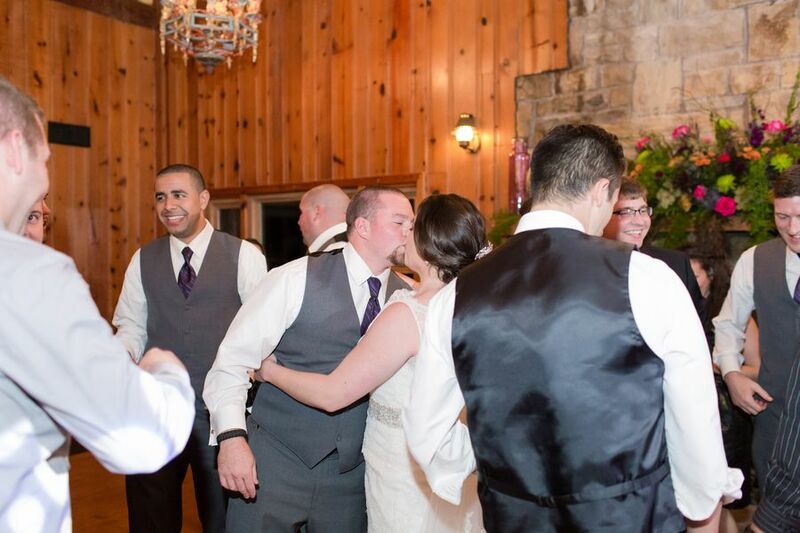 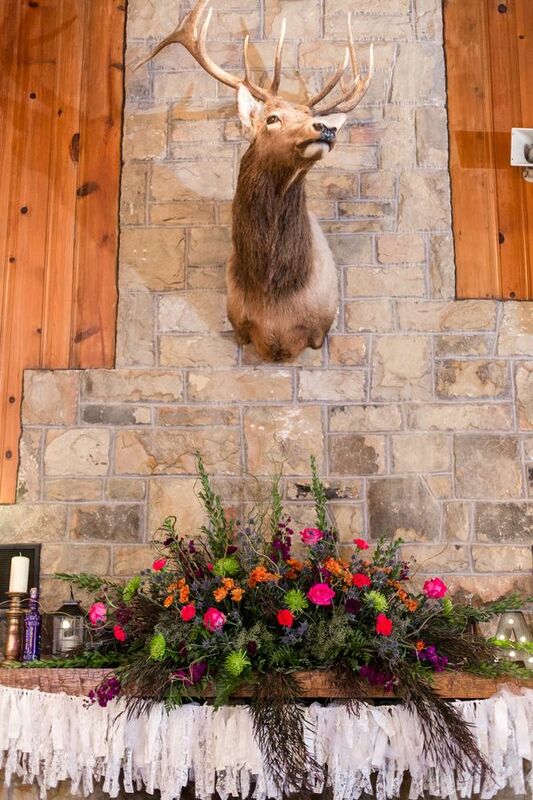 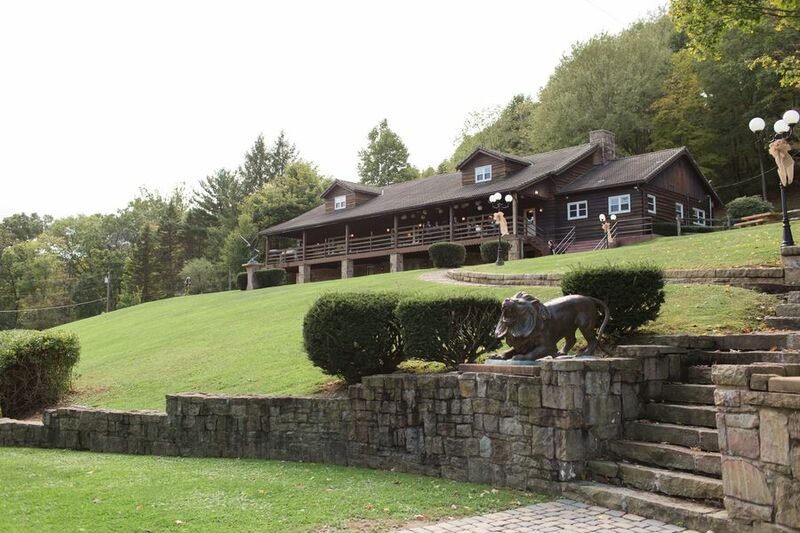 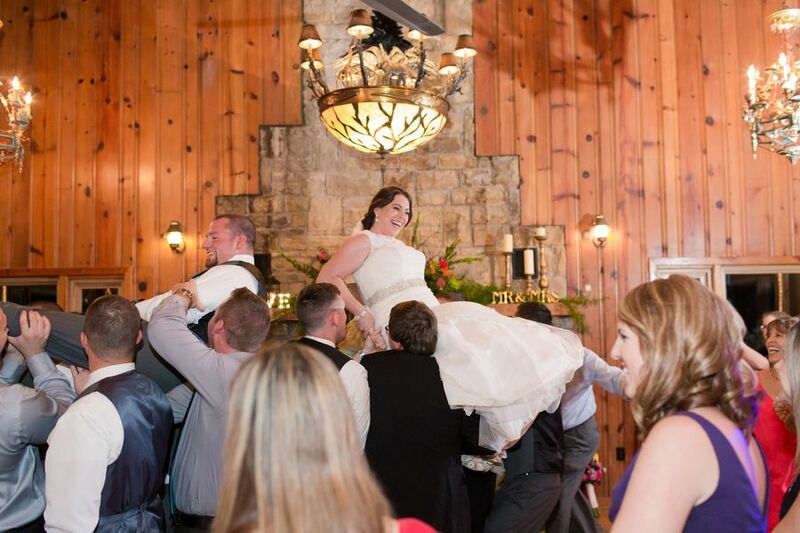 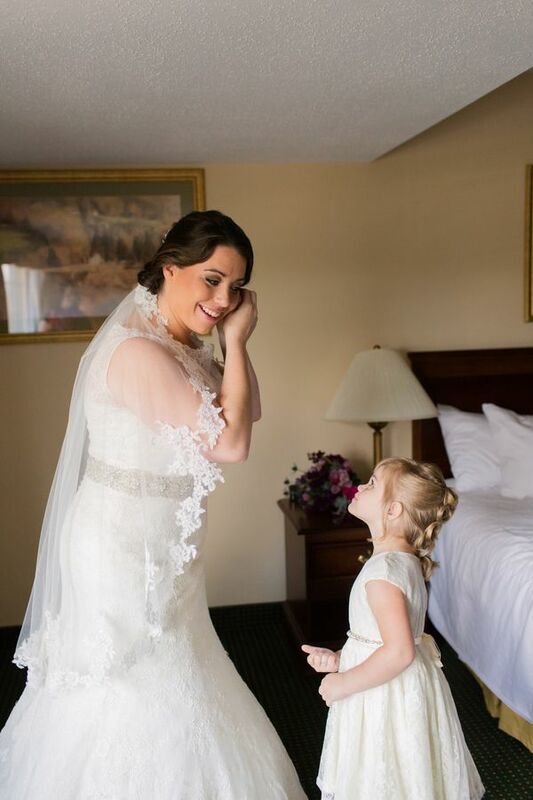 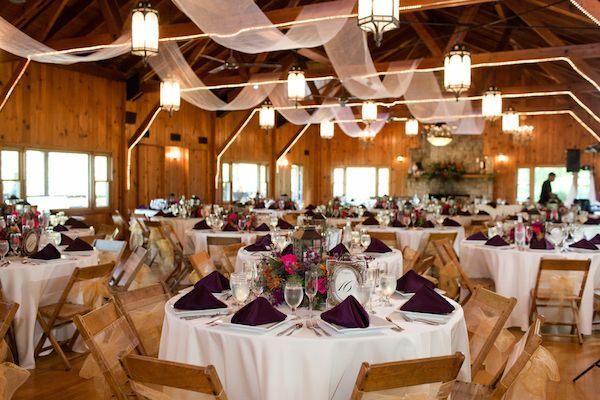 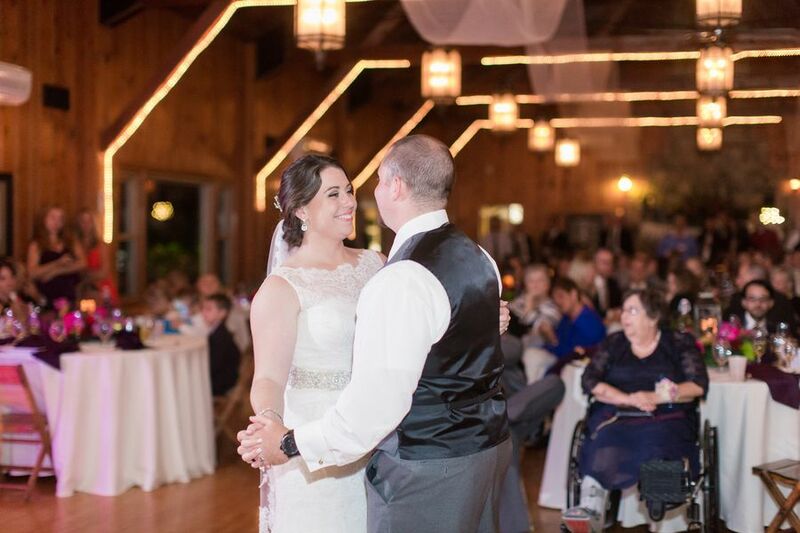 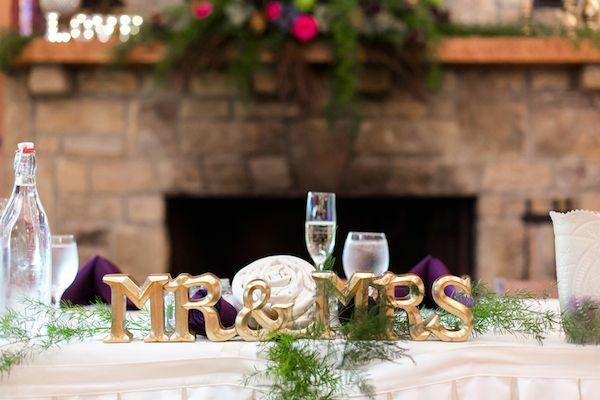 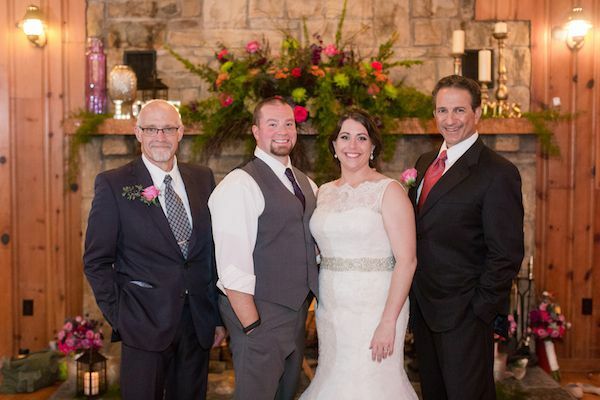 "Stonehenge Lodge created the perfect backdrop for the rustic themed wedding with its large stone fireplaces, open cathedral ceiling, grand lodge room and knotted wood panel walls provided the rustic cabin feel and added a sense of coziness to the grandeur of the venue. " 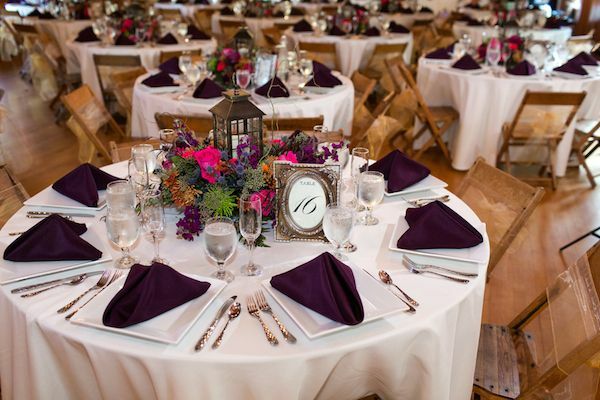 "The reception tables were decked with the warm toned floral arrangements and featured rusic lanterns at their centers while rich purple linen napkins pinwheeled the tabletop placements." 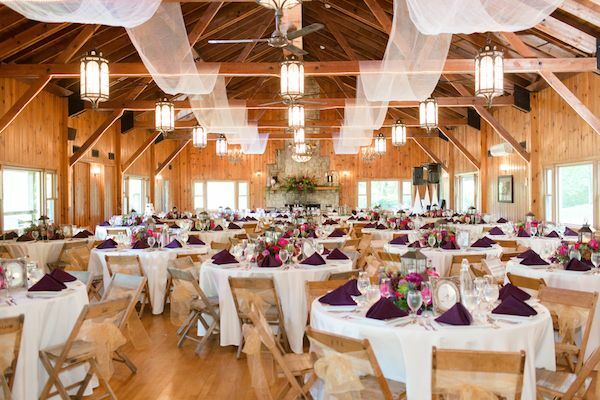 "Each guest's chair was wrapped in a transparent bronze bows and sheer white fabric was draped between the wooden beams along the ceiling." 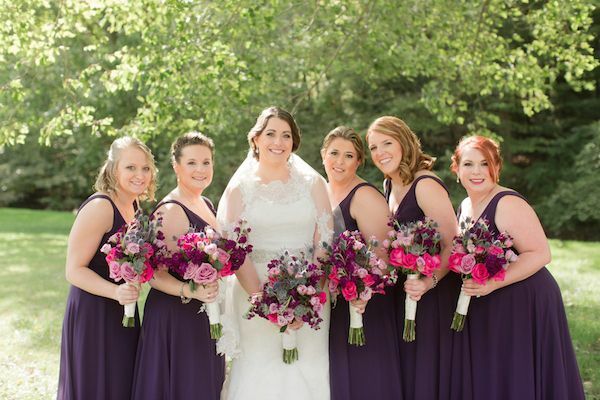 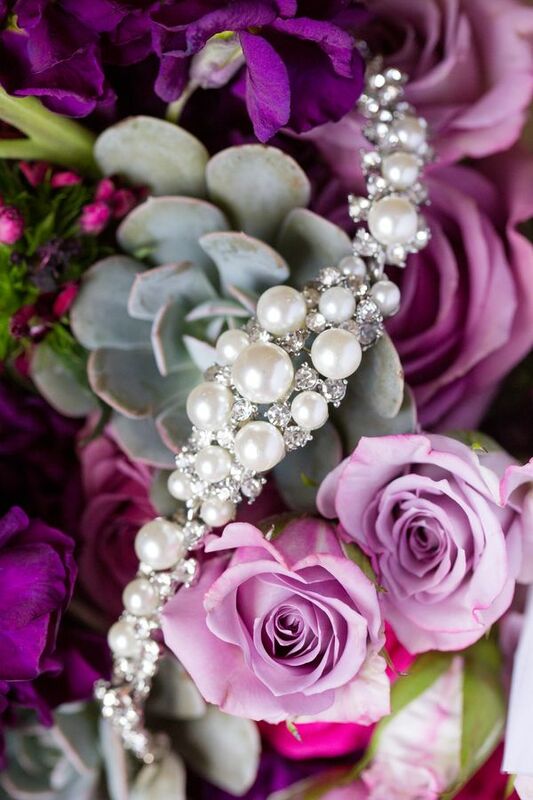 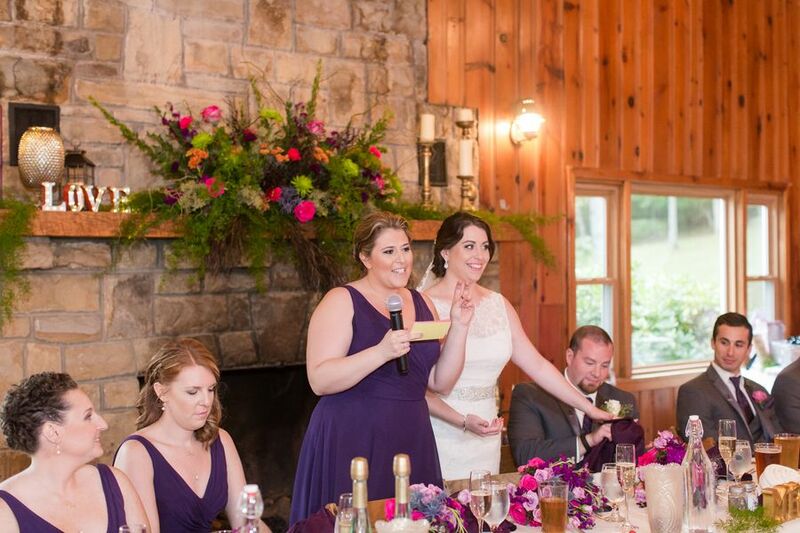 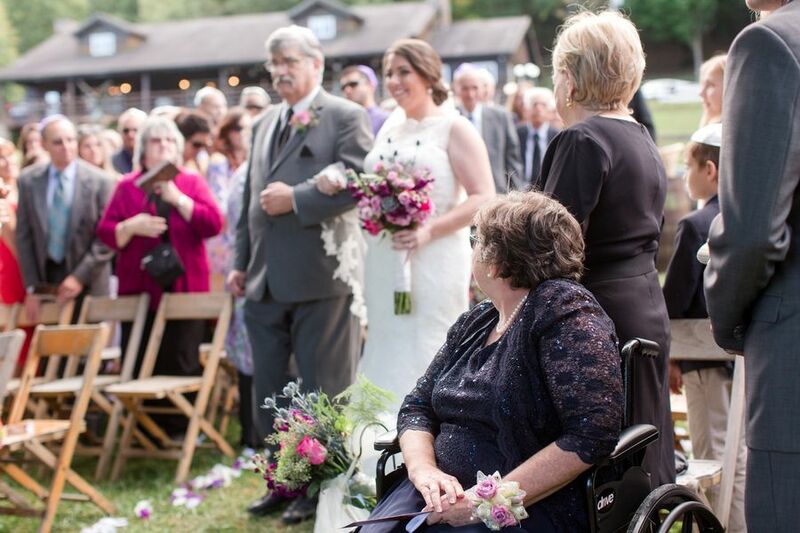 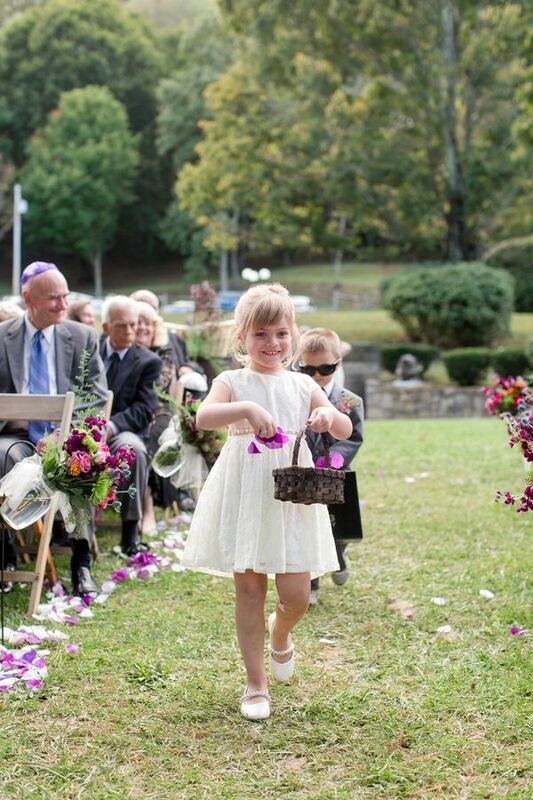 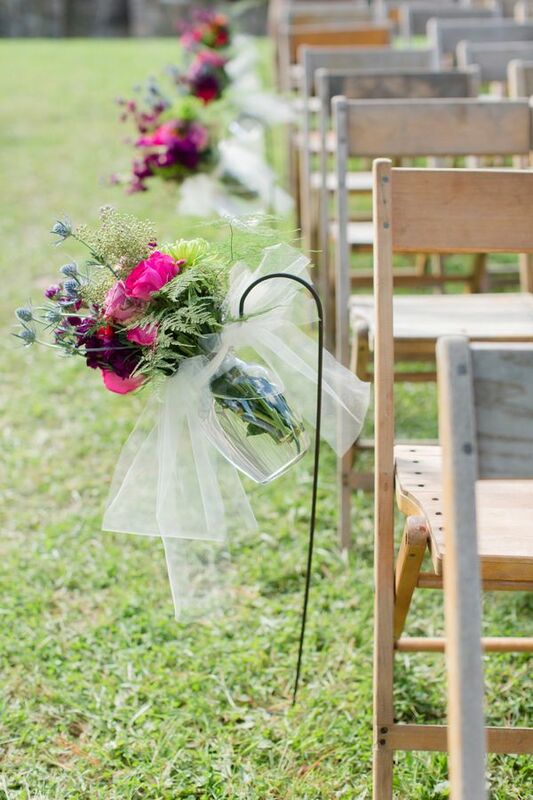 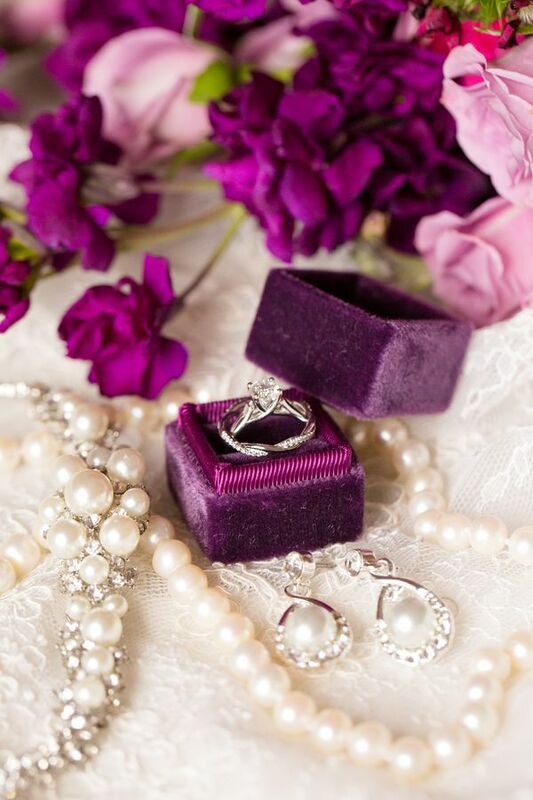 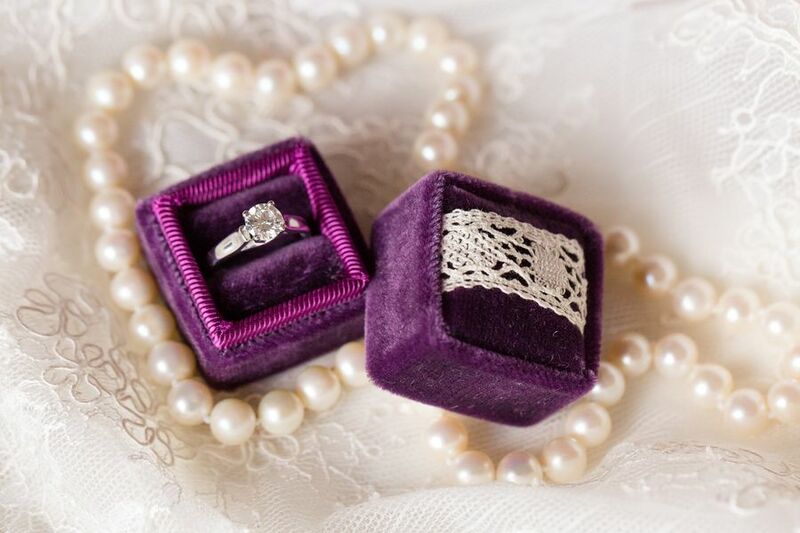 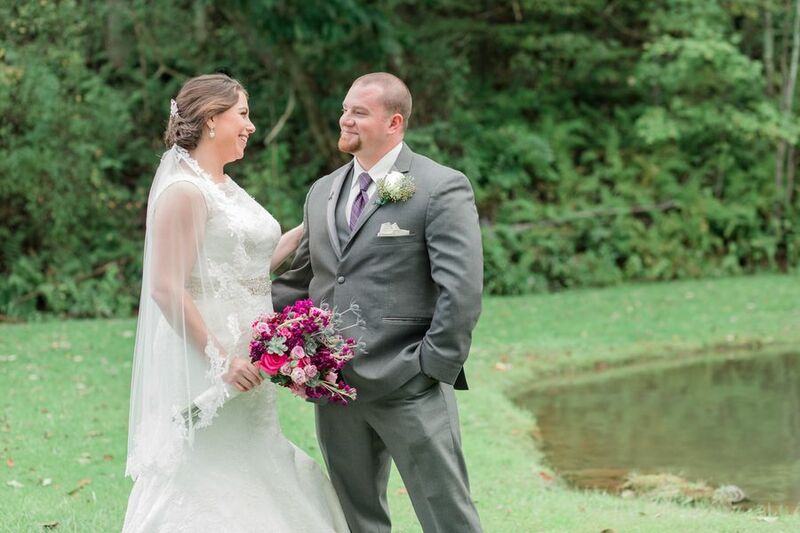 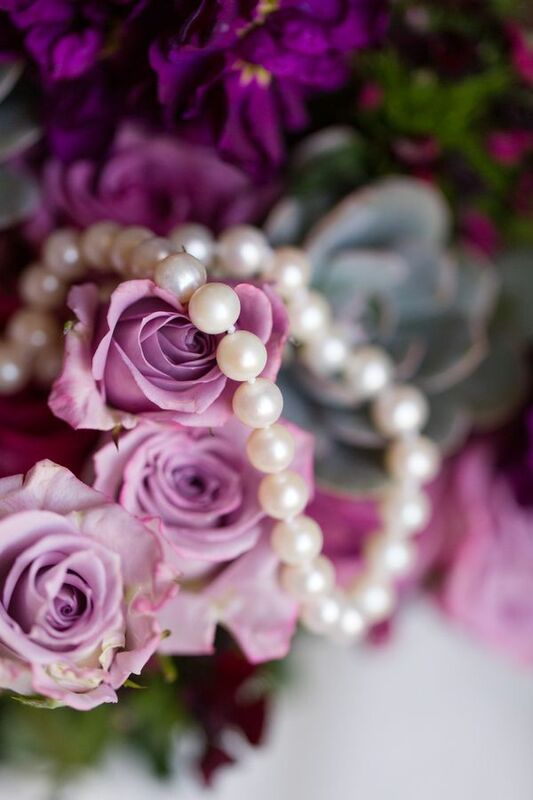 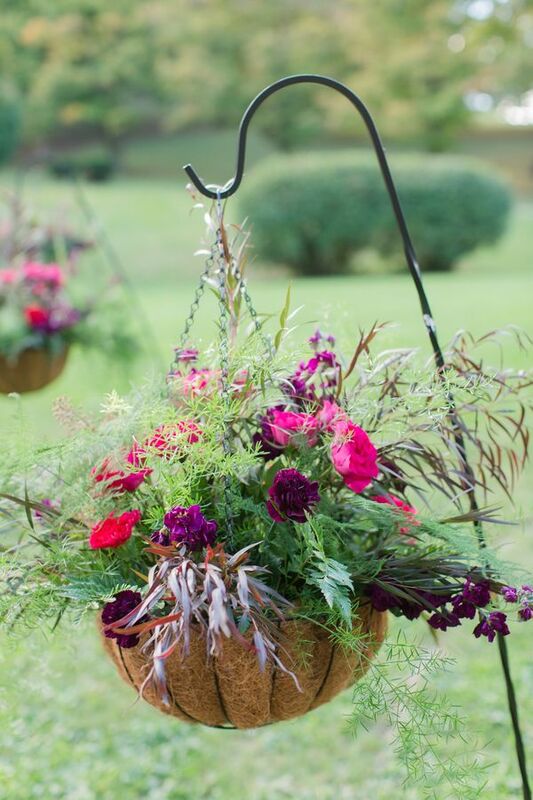 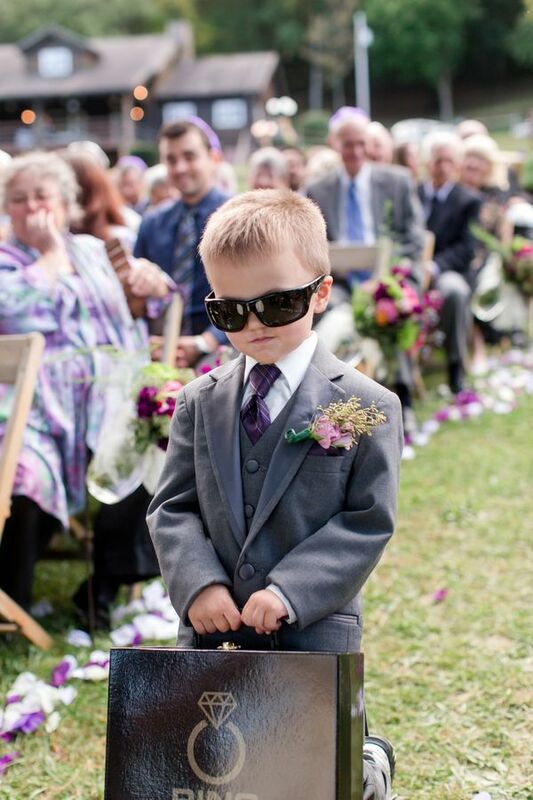 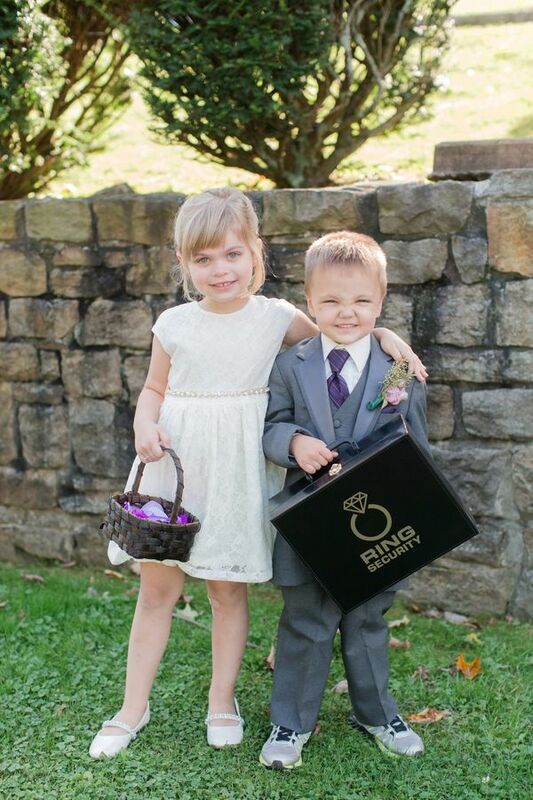 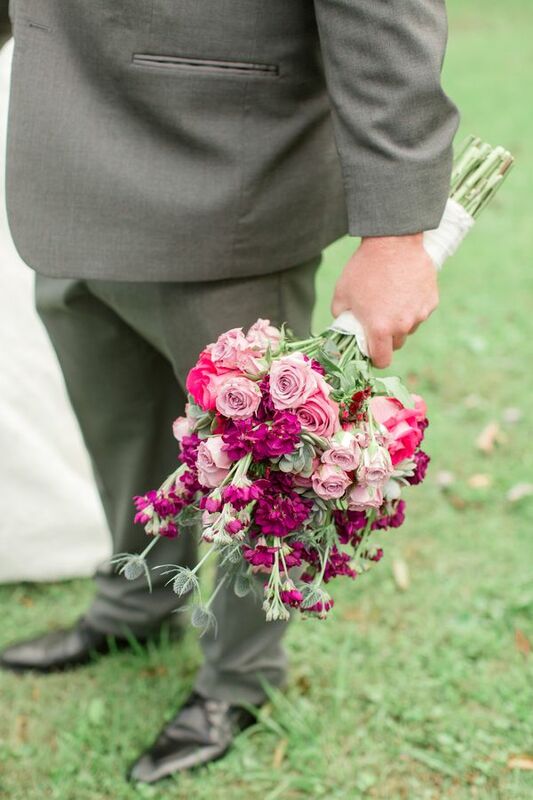 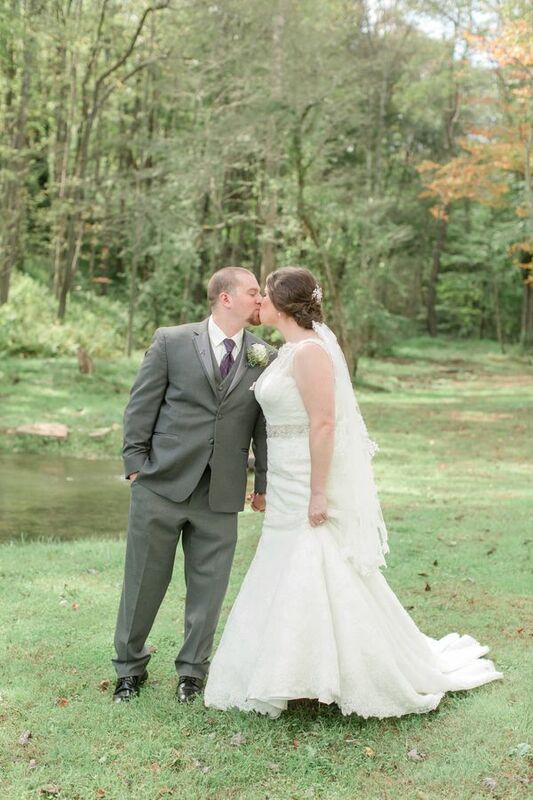 6 Comments " A Vibrant Fuchsia and Purple Pennsylvania Wedding "
These are such stunning photos! 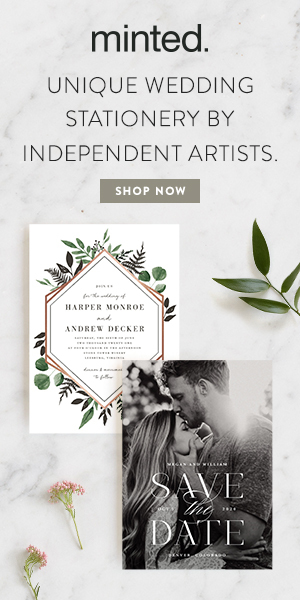 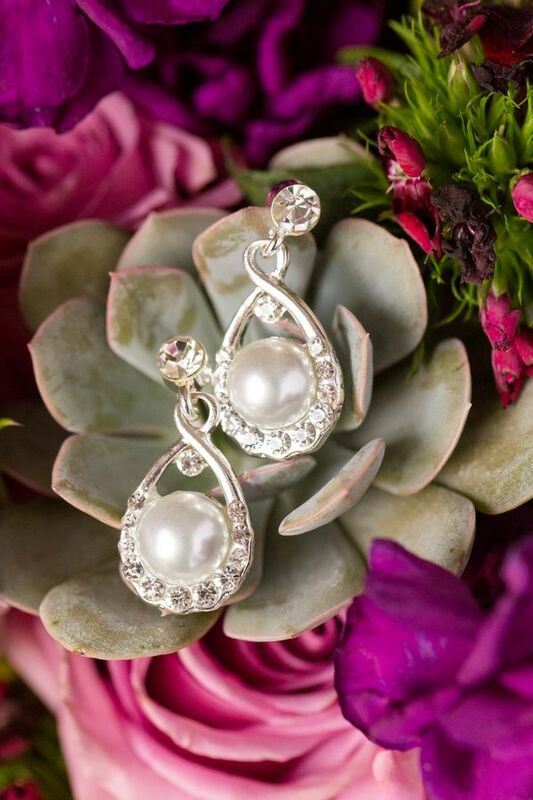 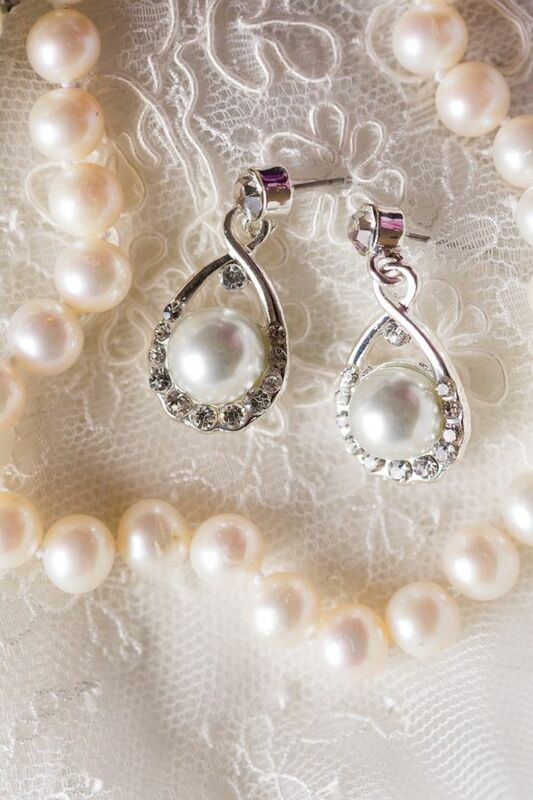 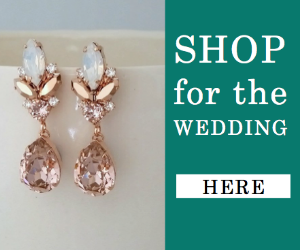 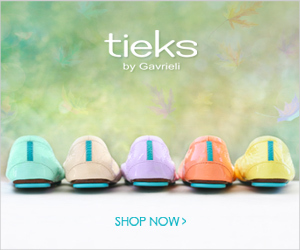 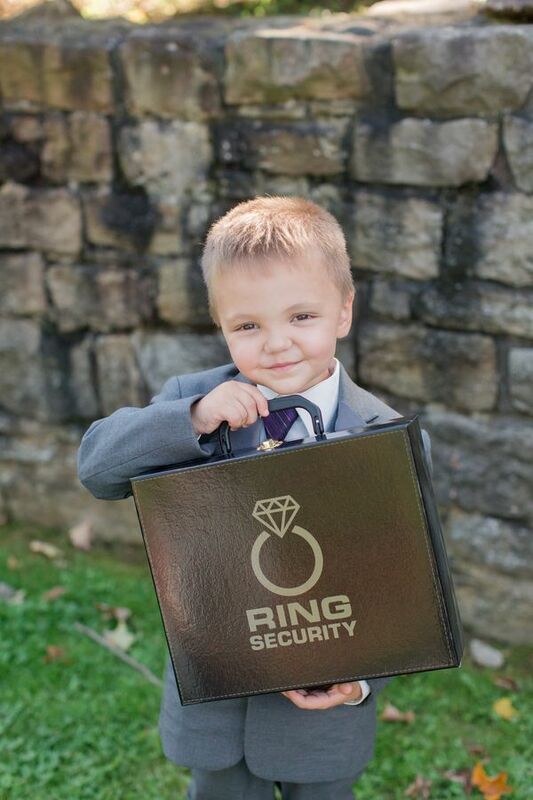 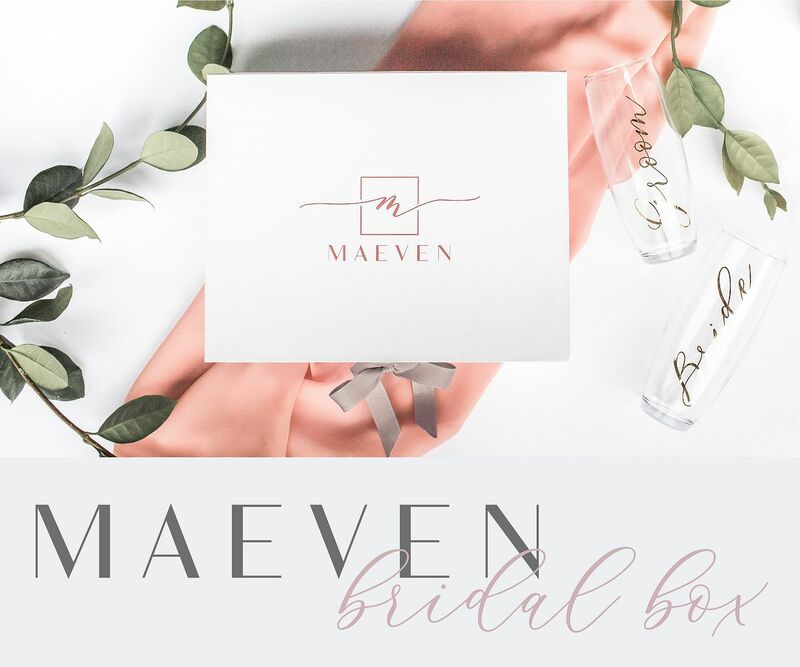 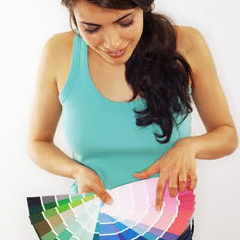 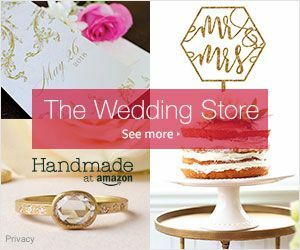 For some of the best wedding gifts check out www.5thavestore.com.